SafeDay, Inc. understands the complex issues surrounding the construction industry. In addition to having nearly 20 years of experience as a safety and health professional, our President, Scott Day, has a degree in Architectural Technology and is a Licensed General Contractor qualifier. SafeDay, Inc. is a member of the Carolinas AGC, ABC Carolinas and the North Carolina Masonry Contractors Association. SafeDay, Inc. can help your company comprehend and comply with complicated OSHA regulations to control safety & health risks to your employees and liabilities that could cripple your company financially. SafeDay, Inc's. recommendations are straightforward, based on practical and successful experience, common sense and designed to meet government requirements. SafeDay, Inc. can lead your company to world-class safety performance. For many contracting firms, the complacency associated with having a "good safety record" or a "good safety program" becomes an obstacle to achieving "world-class" safety performance and to the elimination of worker injuries. 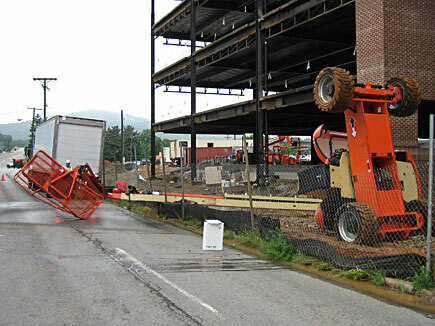 Many contracting firms and construction workers believe that accidents and employee injuries are inevitable and just part of the business. SafeDay, Inc. can transform your employees' attitude toward workplace safety from that of "I am required to work safely." to an attitude of "I want to work safely." SafeDay, Inc. can reduce your safety management costs compared to employing a full-time safety manager. Many contractors discover that the on-going safety management support services of a well qualified consultant results in a fraction of the expense of an equally qualified, permanently employed safety professional. In some cases OSHA reduces the penalties associated with OSHA citations for companies that engage a safety consultant. SafeDay...because safety doesn't happen by accident.